Abstract: Why people fall in love with Airwheel intelligent scooter? One of the reasons is its thrilling and exciting riding experience. Airwheel not only brings a convenient and eco-friendly to life, but also makes the scooter lovers enjoy the colorful world and entertains them a lot. Airwheel intelligent scooters have accompanied the scooter lovers for years. Although a brand new industry with pioneering concepts will inevitably go through the period when most products are of similar designs and ideas, Airwheel keeps playing the leading role in the electric unicycle industry because of its gene of innovation. Airwheel has become the industry leader and brought Airwheel fans with a large number of remarkable products. However, it seems that the scooter industry has ran up against the bottleneck because all new products are of similar designs and performances, which has been boring consumers and the price of the products is too high for the customers, which is unaffordable. Airwheel astonished the industry once again with the gene of creativity inside itself and the high quality and performance. For those who love adventures and have courage, Airwheel is a really attractive product, because when riding Airwheel single-wheeled scooter, they could use some riding skill to experience a thrilling and exciting feeling. The most skillful riders could challenge a lot of difficult postures and movements, which is by no means inferior to cycling and skateboarding. For those who need the long-distance travelling, Airwheel A3, the new design with a sitting-posture model, must be an attractive product. The release of Airwheel A3 breaks the stereotype of the traditional scooter, which is only suitable to short-and-medium distance traveling, and amazed the scooter experts and lovers. With the comfortable saddle, riding experience will not be fatigue and sweat any more. For those who are chasing cross-country outdoor experience, Airwheel S series is an exceptional treasure. The updated battery and powerful engine make Airwheel S conquer any terrain easily, including going up and down the stairs. The two-wheeled scooter model provides a smooth riding experience to every scooter lover. 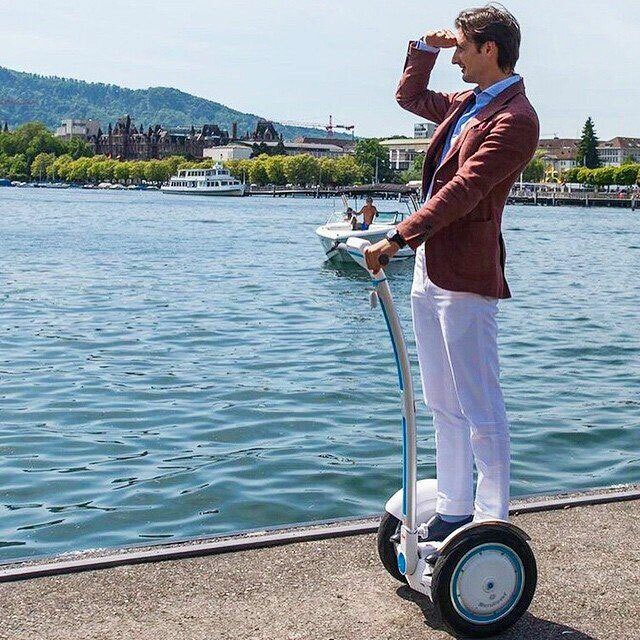 Airwheel electric scooter, customer-oriented, aims to provide different models to meet the different needs of users. The bright future of Airwheel is coming.